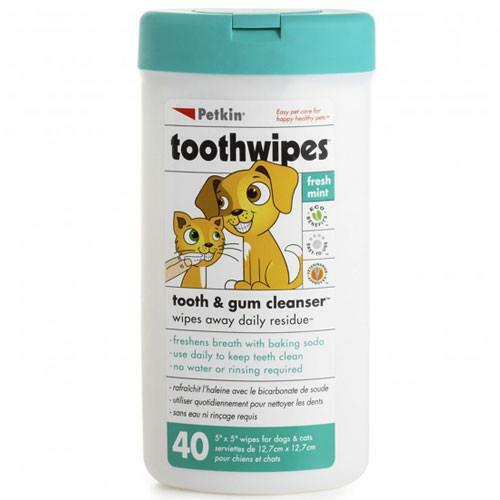 Petkin ToothWipes are the perfect way to ensure your pet maintains excellent dental and oral hygiene. Formulated with very mildly abrasive baking soda to help in the fight against plaque, an antiseptic to reduce bacteria, and a soft minty aroma to keep your pet's breath fresh, these wipe can be used daily and require no water or rinsing afterwards. Simply wrap one wipe around your finger and gently rub your pet's teeth until clean for sparkling gnashers.